Hotel is located in Roatan right on West Bay Beach, steps away from the beach, its the best place to stay in Roatan. We work hard to be one of the best West Bay Roatan hotels. We use the best Honduras coffee bean and make delicious coffee from our espresso machine. We are not a Roatan lodging luxury 5-star hotel but a family business that has grown thanks to our amazing staff team, hard work and love and support from each other and our friends. You are walking distance from more than a dozen of dive shops, restaurants, and everything you might need for a comfortable stay. Kayaking around the Bay and exploring the area. Snorkeling right of the beach from in front of the Hotel, immersing in the wonderful SeaWorld or taking a morning splendid Roatan dive to start the day. Dining and discovering the variety of fresh seafood dishes and more in the restaurants around the area. Hotel Posada Seremein, one of the best hotels in Roatan Honduras which mean thank you in Garifuna, is located in West Bay Beach, right behind the Argentinian grill West Bay, where visitors are seeking to experience the island to the fullest. 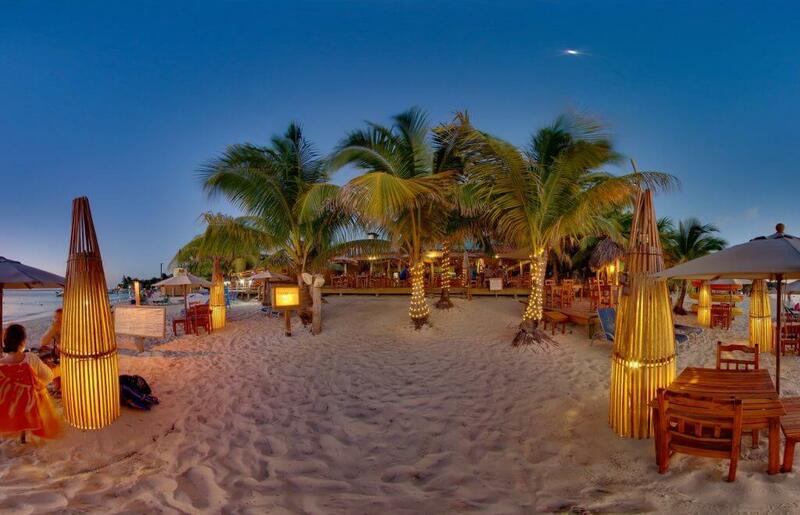 In this area, you will find many dive shops, restaurants, bars and a beach with breathtaking sunsets and busy nightlife. 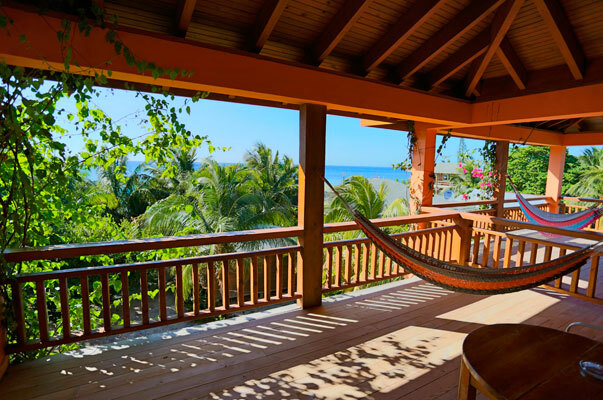 When it comes to the Posada’s setting, it outstands for being a small family business and has a rustic chic-style making it one of the most beautiful cheap hotels in Roatan Honduras. Hotel Posada Seremein offers studios either sea view or gardens, depends on the floor it’s located. All studios come with free wi-fi, private balconies with hammocks, refrigerators, private bathrooms with hot water, fully equipped kitchenettes. about what we know, or help you find your activities. Roatan: is almost 70 km long and 5 km wide , will steal your heart. It is a lost Paradise in the Caribbean. Not only is surrounded by crystal clear water but has the second largest coral reef in the world, which makes the underwater world breathtaking. It’s nature and biodiversity is also something to pay attention to. Today, there are two Argentinian Grills one in West End and one in West Bay Beach. daughter, Natalia looking for a beautiful place to settle down. more members, Lucia and Esteban, making a family of 5. In 2014 they opened their doors of Posada Seremein, after being in the hotel business for more than 20 years. Just as the family grew, so did the hotel business. -Andres and Valeria, experienced travelers, know how nice it is to be in a new place and be able to feel like home. Their goal is to make everyone comfortable and make sure that their guests are having best vacation or stay.